Why is Manuel Antonio, Costa Rica so popular? Our online community reveals the reason--Whatever your pleasures and interests, we've got you covered! Our up-to-the-minute LOCAL NEWS, SPECIALS, WEATHER FORECASTS, EXCHANGE RATE, and GOOGLE MAP compliment a list of Manuel Antonio and Quepos area ACTIVITIES and attractions unmatched by any other tourist destination in Costa Rica. EVERY CURRENT DISCOUNT AND SPECIAL! You've worked hard and saved for a much needed, rejuvenating change of scenery. It's time for some major rest & recreation. Your vacation planning begins NOW. Create your dream vacation from a fun-packed list of THINGS TO DO--guided tours through world famous Manuel Antonio National Park, canopy tours, whitewater rafting, surfing and surf schools, sport-fishing, ATV tours, jet skiing, parasailing, snorkeling, scuba diving, eco-tours, day spas, horseback riding, kayaking, sunset sailing, mangrove tours, a butterfly farm, and waterfall rappeling. And finally, or first of all (or both! ), that world-class therapeutic massage you've been deserving all year! And when it comes to NIGHTLIFE, we love to party with our visitors! Know where the action will be each night with our complete listing of our area's entertainment venues. For your DINING pleasure you'll find everything from budget-priced Costa Rican "sodas" to the ultimate in fine dining cuisine prepared by world-class international chefs. Likewise, SLEEPING accommodations range from backpacker hostels to 5-star resort hotels and everything in between, including a great selection of multi-family ocean view villas and condos. Speaking of villas and condos, if you're in the market for relocation options, investment opportunities, or a vacation property, get a jump on the latest, up-to-the-minute Quepos and Manuel Antonio area REAL ESTATE listings. There's still some prices we haven't seen in years, but activity is starting to pick up again. RANDY'S LIST of business and personal classified ads is the most extensive in the entire area, as is our complete DIRECTORY of local businesses and important numbers. For a break from your day browse our area's BEST PHOTOS and VIDEOS, BEST STORIES, and our visitor's and resident's all-time FAVORITES. Forums for RELIGION, POLITICS, and just plain VENTING allow for some interesting debate of worldviews and opinions regarding important issues of the day. The vision for Manuel Antonio Online is to provide the world a multimedia experience of Manuel Antonio, and our community's fans an interactive/multimedia place to meet and express ourselves. 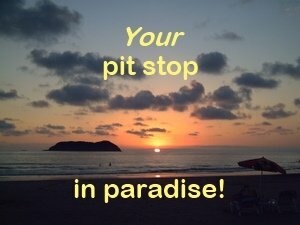 Manuel Antonio Blog, the area's latest news, announcements, DISCOUNTS, and SPECIALS. Receive interactive/multimedia blogs by instant RSS feed or daily email. Quepos And Manuel Antonio Specials! For current Quepos and Manuel Antonio specials, look no further than our interactive, multimedia ads by local businesses. Up-to-the-minute listings let you get a jump on the best deals in our area! The area's <em>only</em> interactive, multimedia Quepos and Manuel Antonio classifieds. Wanting to buy or sell something? Needing to hire someone or find employment? Create your FREE webpage ad, now! Up-to-the-minute Quepos and Manuel Antonio news and announcements. The area's <em>daily</em> multimedia news source. Our informative Manuel Antonio Exchange Rate page provides TODAY'S RATE and some helpful information you need to know about exchanging money and transacting in Quepos and Manuel Antonio. Our Quepos and Manuel Antonio map is an interactive/multimedia way of locating EVERY Business, Tourist Attraction, and Point Of Interest throughout the area. Click here for ANY place you need to find. The Quepos and Manuel Antonio Weather page includes what to plan for when you visit, Pluses and Minuses of visiting during EACH SEASON, TODAY'S FORECAST and the forecast for the NEXT FOUR DAYS! Our Quepos And Manuel Antonio Flights page provides COMPLETE air travel info for getting to Costa Rica, getting around Costa Rica, and seasonal flights to and from Quepos/Manuel Antonio. Manuel Antonio And Quepos Car Rental Agencies provides our visitors with ALL the info they need to choose a rental car agency while visiting our area. Shop all the top companies from this page. Everything you need to know about the Manuel Antonio bus schedule and taxi service. Find all the Quepos and Manuel Antonio shuttle services listed here including the various vehicles, prices, and all the destinations they serve. For COMPLETE interactive, multimedia listings of Manuel Antonio hotels, THIS is the place. Whether BUDGET, MIDRANGE, or HIGH END, we've got the latest Up-To-The-Minute information. Click here! Manuel Antonio villas include a collection of ocean view homes, unsurpassed in all Central America! We're talking living space luxury <em>and views TO DIE FOR</em>! Click to see for yourself! For COMPLETE interactive, multimedia listings of Quepos hotels, THIS is the place. Whether BUDGET, MIDRANGE, or HIGH END, we've got the latest Up-To-The-Minute information. Click here! 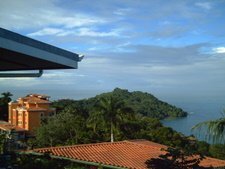 Manuel Antonio vacation rentals, THE interactive, multimedia place to begin your search for accommodations. Be it a room, hostel, apartment, cabina, condo, hotel, or villa. WE have ALL the listings! Quepos and Manuel Antonio hostels continue to multiply to meet the demand of youthful backpackers and travelers with budgets limited by the recession. It's a great way to mix with fellow backpackers! Your Complete interactive, multimedia guide to Quepos and Manuel Antonio restaurants. See listings of EVERY restaurant from budget meals to chef prepared gourmet cuisine...and in between! Here you'll find a list of the best Quepos and Manuel Antonio sodas. The typical Costa Rican soda represents a great, inexpensive sample of Costa Rican home cooking. Sample a soda during your stay! THE interactive, multimedia guide to Manuel Antonio National Park. The TOURIST INFO you need AND the best photos and videos by park visitors and guides. Vote for your favorite WILDLIFE ENCOUNTERS! Our Quepos And Manuel Antonio Tours page is THE place for a COMPLETE interactive, multimedia list of EVERY tour activity in our area, from the big all-inclusive packages to the individual activities. Our interactive/multimedia list of Quepos Fishing Charters provides ALL your choices for world-class fishing. Quepos is world famous for some of the best sportfishing to be found ANYWHERE! Our COMPLETE listing of Quepos and Manuel Antonio nightlife venues lets you know where the action will be EACH night. View interactive/multimedia promotional ads showcasing your entertainment options. Heavenly bliss awaits in our Manuel Antonio massage studio, MassageForEveryBody™ is hands down (pun intended) the best! Enjoy full body oil massage, lotion massage, Swedish, Asian techniques, etc. When in Manuel Antonio shopping for groceries and supplies there are a few time-saving things to know. THIS is the page with all your options when needing groceries and/or supplies while in our area. Needing to know about Quepos and Manuel Antonio souvenirs and art galleries? THIS is the multimedia resource for all your choices. Check out our complete listing of vendors, shops, and galleries. Like so many artists throughout history, Manuel Antonio artists and artisans find their inspiration in the beauty of the scenes and scenery around them. View the results of their creativity here! Quepos And Manuel Antonio Businesses For Sale is THE interactive/multimedia place to find businesses for sale in our area as well as the best place to list your business if you're selling one. THE most extensive interactive, multimedia list of Quepos and Manuel Antonio rentals in the area. We've got your up-to-the-minute Room, Apt., Condo, Cabina, or Villa listings -- Just one click away! In the market for Manuel Antonio lots or area fincas? Check out our interactive, multimedia, up-to-the-minute listings. Find the perfect lot to build on, or an area finca to farm or develop. Create your own free Quepos And Manuel Antonio Personals webpage today! Enjoy interactive, multimedia social networking on a local scale within our community. It's THE place to be seen and heard! The Quepos And Manuel Antonio Directory Of Businesses is THE mutimedia source for business information in our area. We provide EVERY local business a web page to produce their own INFOMERCIAL! The best Manuel Antonio stories as told by the visitors and residents. Including photos and videos! Have a favorite Manuel Antonio story to share? The place to watch the very best Manuel Antonio videos, shot by our visitors and residents? Right here! THE place to see the BEST Manuel Antonio photos taken by our visitors and residents. Manuel Antonio venting is a popular activity among expats when we meet on the street. It's how we release or express creative energy or emotion and is accomplished by voicing some mutual aggravations. What's your worldview? We all have one. Provided that we obey the rules of logic, our presuppositions control all of our thinking. These assumptions form the underlying structure of our worldview. Your suggestions and comments contribute to the ongoing design, development, and construction of Manuel Antonio Online. Imagine the rush of zipping through the tropical rainforest treetops of Costa Rica . Quepos and Manuel Antonio canopy tours continue to be one of our area's most popular activities.